We’ve been hearing it since we were little; since before we really had any comprehensive understanding of what money was and how integral it was to our means of survival. Ever since that very first piggy bank our parents gave us –quite literally, a ceramic pink pig with a slot you could put loose change in and jiggle it around as you put it up to your ear and shook. We knew some money was good and that more money was even better. On the surface, it sounds like a form of manipulation, but it actually contextualizes the value of finances. It allows a somewhat tangible understanding of how the world works. Millennials get a lot of crap. I’m not personally one, so I don’t have any emotional investment in sticking up for them, but they really don’t deserve most of the negative talk flung in their direction by their older peers. Older people hate millennials because they can’t wrap their minds around the fact that society has changed. The financial game has changed. What was, isn’t anymore. And when you study the behavior and thought processes of millennials in the context of what living in 1980 was like, then yeah –they come across as not having a clue. But the reality is, they are navigating a brand new world in which there is cryptocurrency, a dwindling social security, a nationwide minimum wage issue, and jobs that are rapidly being replaced by machines and robots. Thus, in their attempt to adapt to new rules and a new system, they are defying societal norms, deciding not to go to college, waiting for marriage and children and worrying about retirement. They’re also outpacing everyone else when it comes to savings, but their motives are significantly different than say the Generation Xs, Ys, and Baby Boomers. A new report from Merrill Edge indicates that the first generation to focus on planning for financial freedom instead of retirement in the long term are millennials. That’s 63% of millennials saving toward desired lifestyle goals compared to 45% of Gen Xers and Baby Boomers. When it comes to retirement, 55% of Gen Xers and Baby Boomers are developing savings for retirement, where only 37% of millennials are planning for retirement. And to anyone that’s over 30, this sounds absolutely nuts and irresponsible until you really look at what the overall objective is. It wasn’t until recently that the social norm has really shifted in what is expected of people as individuals and as a society. One could argue it was the house-market crash of 2008 that left an unhealing wound on the trust people have toward the banking world, the housing market, and the government as a whole. Millennials are rewriting the script of traditional life order and expectancy: go to college, work a 9-to-5 job, get married, have children and retire. According to the same report as mentioned above, millennials are the first generation to experience only 43% prioritizing marriage and roughly 36% of millennials planning to have a family. Why postpone the freedom and flexibility for the final years of life, in which you might not be mentally or physically able to enjoy it? This mindset may be attributed to the fact that, while people are living longer lives as science and technology advances, the quality of their lives doesn’t seem to correlate. In other words, who gives a crap if I have all this money saved to play golf and travel if I have so many health problems that keep me from doing these things? The Merrill Edge report also indicated that 81% of this younger adults are more likely to spend their cash on travel, 65% on dining and 55% on fitness instead of saving for the long term. The major consideration is over experience in the now and not over the course of one’s lifetime. This speaks volumes of a society in which instant gratification triumphs prolonged happiness. On the other hand, reckless as it sounds, maybe it’s the answer to a more gratifying and full life combined with everything becoming exponentially more expensive and the average job pay not showing drastic improvements. Millennials choose to spend on experience over material things, as the rise of experience economy changes the way money flows. For millennials, it’s better not to sacrifice your family, friends and health to burn out after a 60-hour work week. Multiple studies have shown that, while a hard work ethic and saving money may be commendable, it certainly doesn’t necessarily equate to a happier life. What’s the benefit of putting money before everything else? It’s more about the life’s natural wonders over owning goods, with three out of four millennials spending their money on experience rather than actual things. While the job market is steadily improving, many millennials experienced or watched their parents go through layoffs, difficulty finding a job, and losing their homes after the recession. Investing in the moment has more reward and less gamble. The “experience economy” is affecting how millennials and future generations may choose to spend and/or save. Do Millennials Save More Than Their Elders? There is no doubt that millennials are substantially more likely to spend their money on Starbucks and brunch and trips over putting money aside into a 401(k). While experiences like avocado toast may be both cool, the older generation worries this wastefulness is stopping millennials from owning a home, investing their money into stock or real estate, or saving for a better financial future. Millennials even agree with their older counterparts that older generations save more and delegate finances better. However, neither group is accurate. The Merrell Edge report shows that, though millennials view their elders as the better savers –in reality–they’re saving a higher income percentage than Seniors, Gen Xers or Baby Boomers. Millennials are saving 36% more than their elders and putting aside more than 20% of their income yearly. So, it’s really not a matter of actual money being set aside. The difference is in the goals. Millennials are prone to save for the short term instead of “for a rainy day.” Cash-strapped by monthly bills, student loans, and other financial concerns, millennials are focused on what’s realistic. Many adults struggle with saving, with 42% saving less than 10% of their income and 7% who aren’t saving anything, according to the Merrill Edge report. When the unexpected happens, many adults aren’t confident, and 71% don’t have confidence in their ability to succeed with financial goals after divorce. Only 5% of adults are planning for the possibility of divorce. Only 23% are saving for family planning, and 64% believe they would not be financially successful if they chose to have children. Again, these numbers reflect many people’s decision to avoid life’s markers that were once considered the inevitable (like procreating). In other words, millennials worry about what they owe right here and now, pay what they can off, and pay what they owe in their current situation (like hospital bills and college loans). Any remaining money goes toward enjoying life. This is a far cry from how their parents or their parent’s parents were in which it was hounded in us to save, save, save for retirement, catastrophe, health problems, etc. Saving for the future is still on the minds of millennials, but many feel overwhelmed and underprepared. And to be fair, it was much easier to actually save money fifty years ago when you consider inflation. In 1965, a man could work a blue collar job for forty hours, get health benefits for him and his family, the wife wouldn’t have to work, and they could easily support 4 children. To suggest we are living in the same world now is either insane or misguided. While millennials aren’t as likely to open a 401(k) as their elders, they should consider opening one to take advantage of employer matching. Even a small investment of 5% will earn a matching contribution from the employer and build over the years. 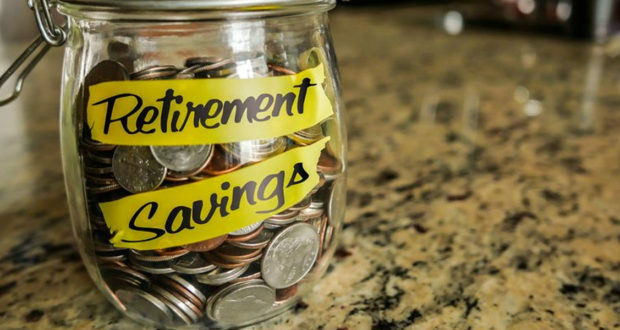 Those who don’t have a job offering a 401K should consider opening an individual retirement account (IRA). Millennials may contribute up to $5,000 annually to their IRA, and if they become disabled or need to pay medical expenses out-of-pocket, they can withdraw money without penalty. Be articulate and exact with your goals and what you want your money going toward. Learn how to delegate. How much do you want to save by what date and why? Record how much you want to save and consider using an automation transfer of whatever you decide into a savings account, monthly. When you decide on automatic transfer, it’s harder to back out of our monthly investment goals. It’s always advisable to turn to a financial advisor to help you remain accountable to what you want to achieve for your financial future. Choose both short term and long term, goals. Map out your goals, including spending and saving. Imagine you have three envelopes, one labeled “now,” another labeled “emergency/disaster” and another labeled “later”. In the “now” envelope is money that includes immediate spending on bills like rent, food, entertainment, and credit card bills. The “emergency” envelope contains funds used for either accidents, unanticipated hospital bills, your car needing body work, your computer or phone breaking down, etc.” It can also be short-term goals like maybe buying a house or a car. The later envelope contains money for the long term, such as for your IRA and retirement fund. There are tons of programs like Mint or online savings calculators that help guide you and show you your credit scores and how you should delegate your finances. Millennials grew up in the age of information technology, and the boom continues. According to the Merrill Edge report, 40% of Americans manage investments through a mobile or online portal, and 13% would consider using a robot advisor. Within the next 10 years of investing, Americans believe emerging forms of technology will open up investing to 41% of people and 34 % believe investments will become automated. Programs and Apps like Acorns or Betterment automate and manage your investments and may roll over small amounts of spending money into your investment account. Roll over, round up or set a specific amount to fund and build your investment portfolio. Millennials are saving for experience but should consider what they want for the long term. Preparation is integral to living a stress-free life. The reality is, millennials will be living longer and longer and they won’t be able to survive off their social security alone. While it’s great to live in the now, it may end up screwing you over in the long run, so a balance between the two is an important medium to learn.